Sinister Wisdom 104: Lesbianima Rising celebrates the arts and cultural contributions of lesbian-feminists. 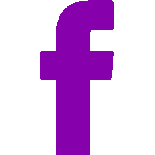 Arts played an important role in building lesbian community and providing venues for social activism given the political and social fervor of the times. In the way that the civil rights movement produced songs and cultural events that supported ending discrimination against African Americans, so did the feminist movement spark empowered lesbian artists to produce their own cultural events, recordings, and distribution outlets. A woman-idnetified consciousness supported this culture, both spiritually and financially. Art was involved by feminist ideals carried by the artists, poets, performers, playwrights, and interwoven into production companies, recording companies, arts organizations, and into the art itself. 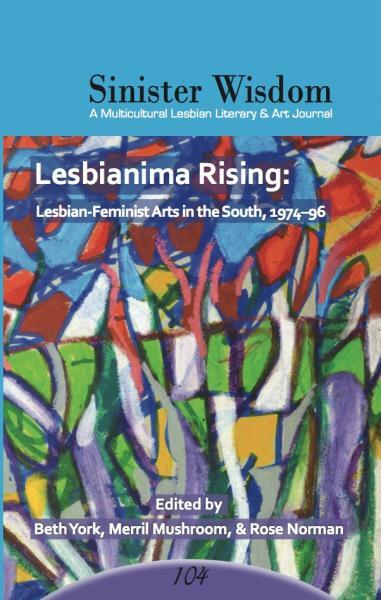 Sinister Wisdom 104: Lesbianima Rising explores Southern lesbian and women's artistic activities between 1974 and 1996. This issue is a rich tapestry of Southern stories and reflections on the creative arts. Order Sinister Wisdom 104: Lesbianima Rising today or subscribe to Sinister Wisdom and receive a full year of the best lesbian literary and arts journal.